With „Cinematic Lounge“, Lemongrassmusic presents a fascinating audio experience, set up to trigger moving images of the mind. All selected tracks seem to be composed for movies but are actually created for your own inner visions. Some tunes are dreamy, some playful, some caressing, some compelling, some mysterious and some straightforward surprising. A trip through an unknown metropolis, a journey through an impressive landscape, an adventurous trip on your own or a timeless moment with your lover are all part of the overall scheme. 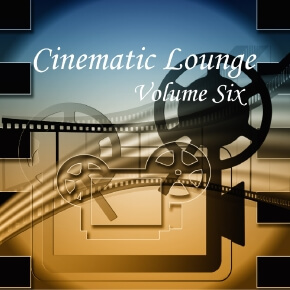 Volume 6 of this compilation series embraces some of the best cinematic works presented on Lemongrassmusic during the past few years, adding up to 2 hours of stimulating listening pleasures, brought to you by artists from Germany, France, USA, Ireland, Italy, Norway, Kenya, Russia and Romania. All in all, a rich and voluptous offering full of twists and turns which finally leads the way to a formerly unknown listening heaven.